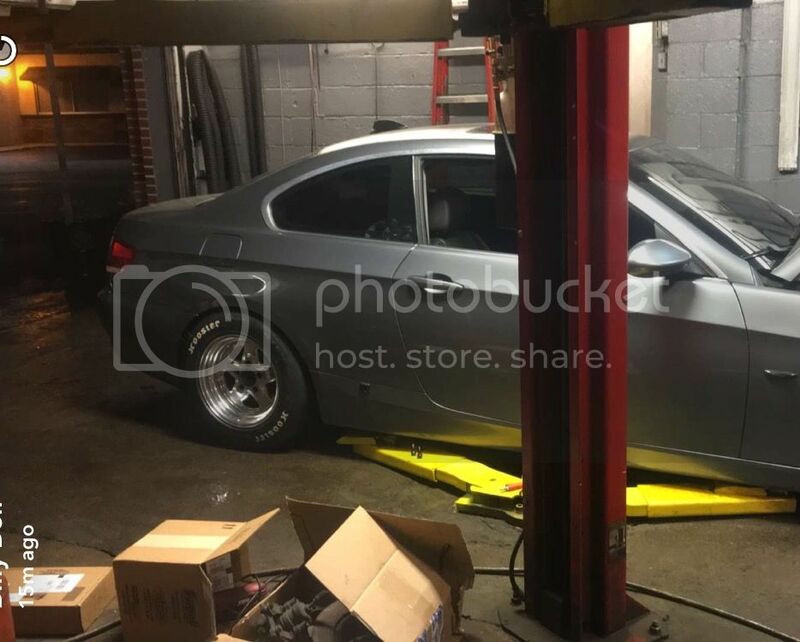 I just finished fitting 15x10 wheels with 275/50R15 hoosier radials on my e92 335i lastnight. I will also be getting matching skinnies for the front eventually. It looks ridiculous and amazing at the same time. I also made my own line lock setup for the front. Ill be making a whole write up on this setup this weekend if i find some time. Here are some pics to hold you off! What offset and backspacing are u running and how much clearance is there? 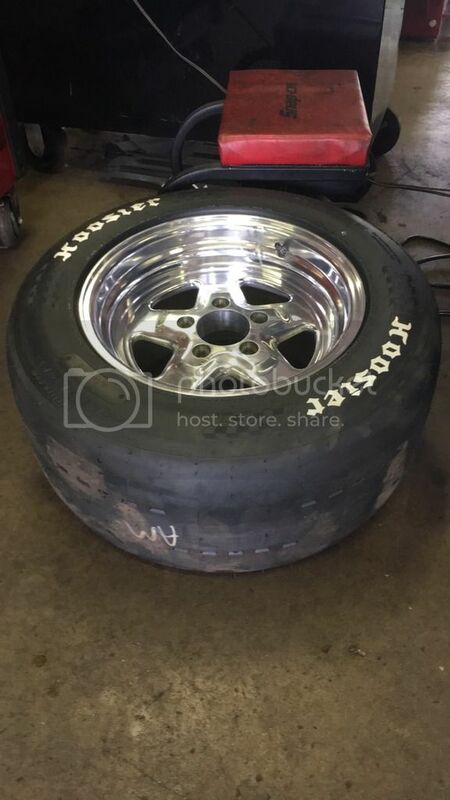 Quick info on the wheels, 15x10 wheels with 6.5" of backspacing +25 offset. Its very tight but does fit. Still haven't gotten to make a pass with them yet. Looks killer! Hope you get your car back going soon. 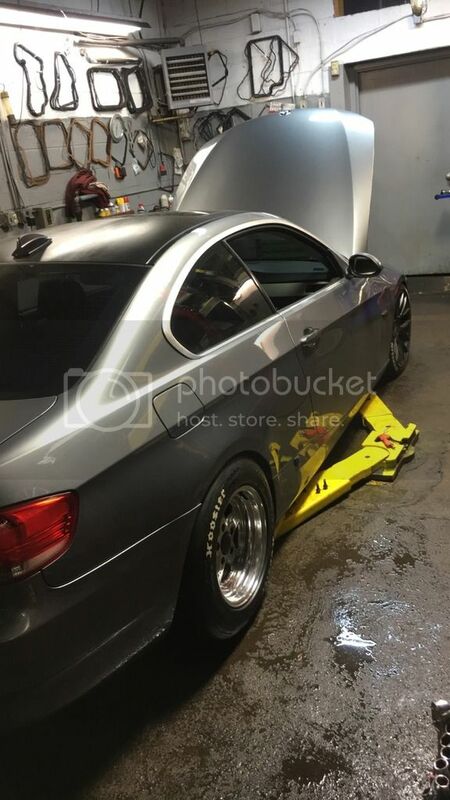 Do you by chance know if the e90 has more or less room in the wheelwell? What rear brake caliper did you use? What size offset? 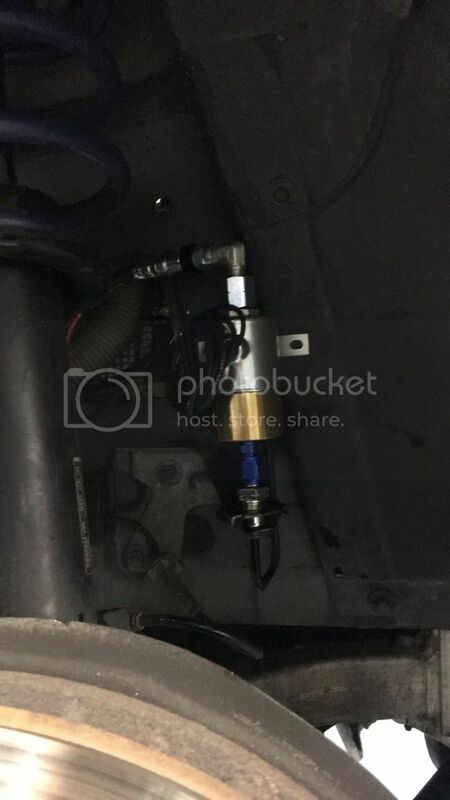 Do they fit e92? PM me the price for them.